"Five Stars ... Album [CD] of the Week ... Sa Chen is one of the brightest performers of her generation." "Possessed of exceptional talent and a grasp of Chopin’s melancholic lyricism both instinctive and thoughtful, Sa Chen is a natural in this repertoire ... Chopin’s gently logical harmonies hang in the air just long enough to catch the falling arabesques, cushioning them gently before launching them off again to explore the wistful inner reaches of delight." 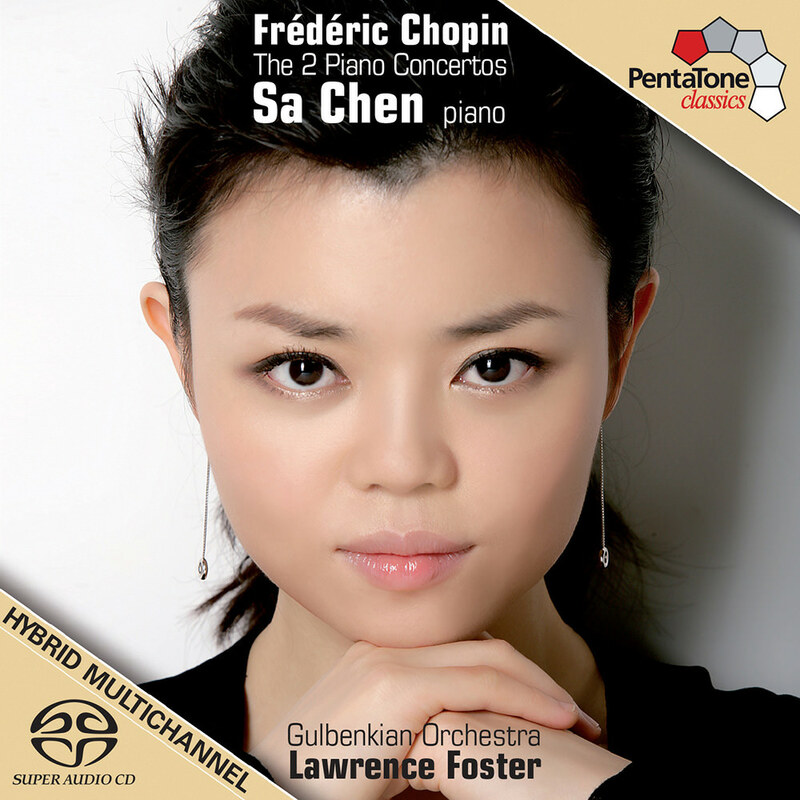 This debut PentaTone release from acclaimed Chinese pianist Sa Chen, issued in 2008, features her performances of Chopin's notoriously difficult piano concertos, accompanied by the Gulbenkian Orchestra led by conductor Lawrence Foster. Classic FM named this the best album of the month and praised her "soulful performance." Microphones: Neumann KM 130, DPA 4006 &DPA 4011 with Polyhymnia microphone buffer electronics. Microphone pre-amps: Custom build by Polyhymnia International BV and outputs directly connected to Meitner DSD AD converter. Monitored on B&W Nautilus loudspeakers. Microphone, interconnect and loudspeaker cables by van den Hul.